Anas “Andy” Shallal is an artist and social entrepreneur. He is the founder of Busboys and Poets, an environment where racial and cultural connections are consciously uplifted. Spaces to feed the mind, body and soul and where art, culture and politics take center stage and collide. With 6 locations in the Washington Metropolitan Area, Busboys and Poets has become home for progressives, artists and intellectuals including such notables as Howard Zinn, Cornel West, Alice Walker and Nikki Giovanni to name a few. 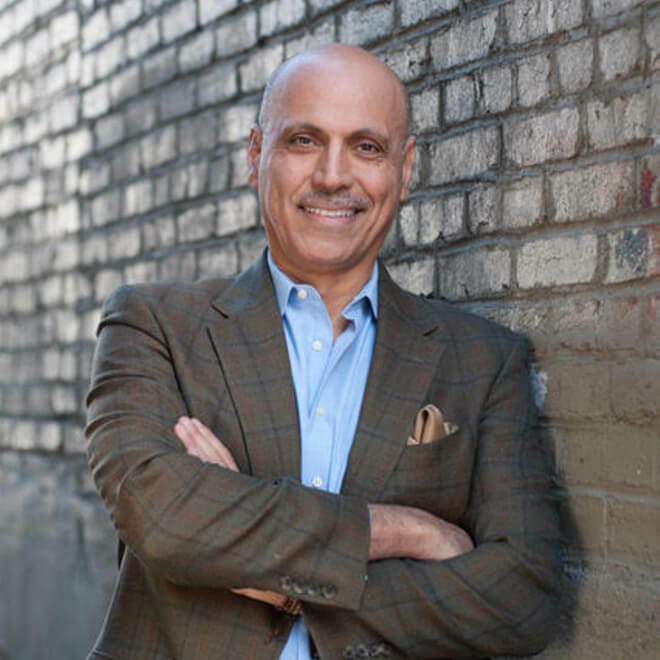 Shallal’s businesses are members of the Restaurant Opportunities Center (ROC) and the American Sustainable Business Council (ASBC) focusing on sustainable business and employment practices. Busboys and Poets has been at the forefront of environmental stewardship being one of the first businesses in Washington DC to be 100% wind powered and are at the cutting edge of the local/sustainable food movement winning many awards and recognitions locally and nationally. Shallal has received numerous awards including the Mayor’s Arts Award, Employer of the Year from the Employment Justice Center, the Mayor’s Environmental Award, Martha’s Table Community Leader Award. Shallal has founded or co-founded several peace and justice organizations and holds leadership positions in numerous others. He is on the board of trustees for the Institute for Policy Studies and a founding member of Think Local First DC, a local business association. He also sits on the board of several arts and peace organizations and was appointed by the Mayor to head the Workforce Investment Council, an advisory board for the Mayor on how to spend workforce development dollars more effectively. Shallal continues to strive to make his hometown of Washington DC a more livable community.